We're bringing our best coaches on holidays for an amazing four days of all the things we love at the UFIT Phuket Retreat - fitness - friendships - tropical getaways and relaxation. 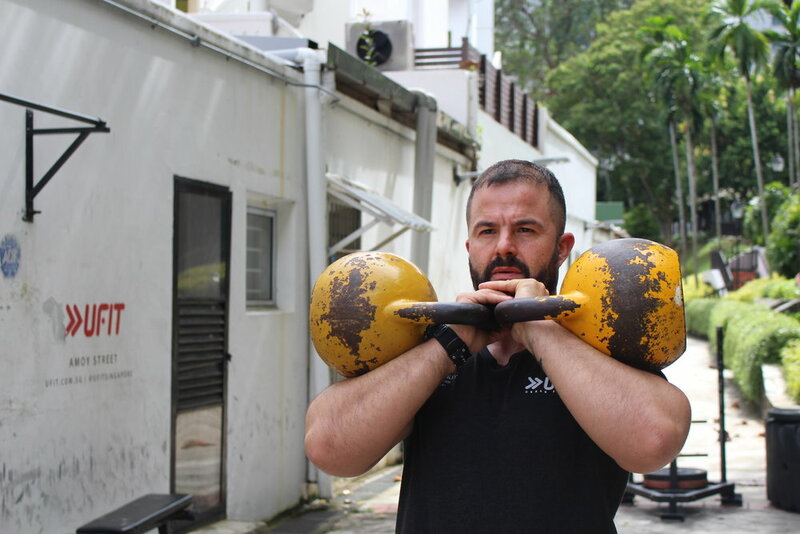 Meet Nathan Williams - one of UFITs most experienced Personal Trainers and Bootcamp coaches - he manages the very busy UFIT Orchard gym - and is leading fitness and recovery sessions at this retreat from 26 to 29 April, along with UFIT physio and CrossFit athlete Megan Lovegrove. As always with UFIT Bootcamps I’m looking forward to seeing a mix some of the regular, long term Bootcampers and have the opportunity to meet some of the new ones. I'm also looking forward to taking a class with and working alongside Megan, who is just one of the latest high quality coaches we have hired within the business. As well as the fitness I'm going to focus on the stretching and recovery side of things as this is a small opportunity to help recover from the physical training of the weekend. We will look at commonly “tight” areas of the body and look at ways to improve range of motion all over the body. Also it's an opportunity to discuss rest, sleep/recovery and the effects on the normal system that can improve or impede long term training goals. Most people use their free time to lower their activity levels and eat unhealthy foods/drinks. A fitness retreat is an ideal opportunity to get away and maintain an active lifestyle amongst like-minded people. The food, the weather and the people. It's a very consistent destination in terms of what you can expect and Phuket is one of the world class locations right on your doorstep if you live in Singapore. What's Nath’s favourite type of holiday? I've never done anything except a Beach holiday so I’m gonna go with that! I joined UFIT Amoy in September 2012 as a Personal Trainer and now manage the UFIT Orchard gym, which has 16 personal trainers and a busy stream of fantastic, amazing clients. Before I joined UFIT I’d worked as a PT in Cyprus, Dubai, Bahrain and Singapore for 5 years. I'd studied in Cardiff Wales, Boston USA and Sydney and Melbourne Aus - and also along the way trained elite RFU female England rugby players. In 2012 I was thinking about giving up the profession as I was feeling disillusioned by the coaching standards and low enthusiasm of the trainers I was working around back then. Through a mutual friend I met up with James Forrester as I’d heard he'd just started a business with some guys who I knew were excellent coaches. I could see he was really passionate about that business and wanted to offer much higher standards than what was in Singapore at the time. It was just what I needed to get me excited about doing PT again. So I came in as a PT to Amoy Street and right from the beginning absolutely loved it. We were a small team and passionate about being the best in the market, and also about making a real difference to our clients. Together we all made UFIT Amoy St one of the busiest PT studios in SE Asia and possibly the world. Now 7 years on I’m really proud of what we’ve created together. I became a shareholder because I believe in the business so much and want to see that as we get bigger, we’ll continue to feel small and maintain that great community and remain involved in our clients’ journeys. Read more from Nath's client Michelle: "he is amazing"
I’m also literally married to the business, my wife Ness is community manager at the Amoy gym. We love travelling, and really focus on getting a great balance between work - fitness - travel - and rest time in our lives. And at work I’m managing what I believe is the best PT team in Singapore. 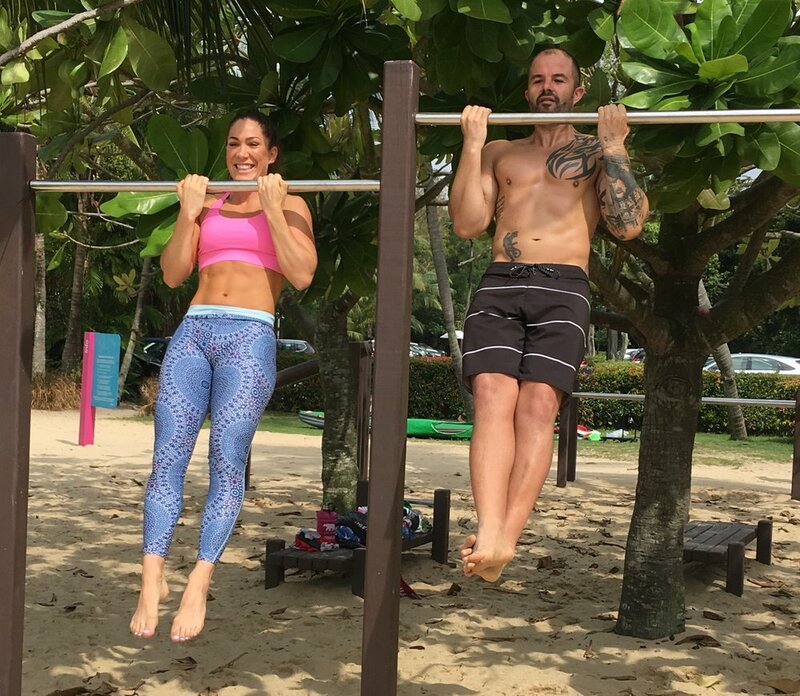 And to be bringing that amazing combo of great fitness with relaxation time along that fabulous beach in Phuket with our clients is really exciting. Nath has a keen interest in corrective strategies and mobility work for everyday workers, ex-athletes and anyone looking to do physical training whilst staying pain-free for the rest of their lives. He helps his clients eliminate any weaknesses and pain in their body by improving their strength and the quality of their fundamental movements. His ultimate aim is to help their bodies to function optimally - through the right balance of the right training, recovery, nutrition and rest.